Available off season April 15th - December 31st 2019 as a furnished turnkey rental for $1,750 month. Your own private getaway. If you are looking for the best you have found it. 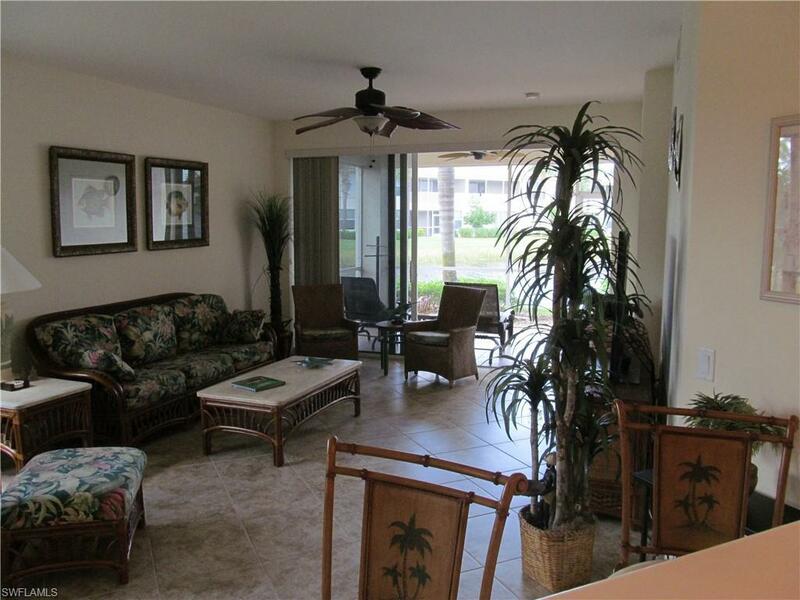 This is a very rare 3 bedroom, downstairs, end unit with private side entry, surrounded by water on both sides. Sleeps six comfortably. Well appointed Furnishings and Turnkey. 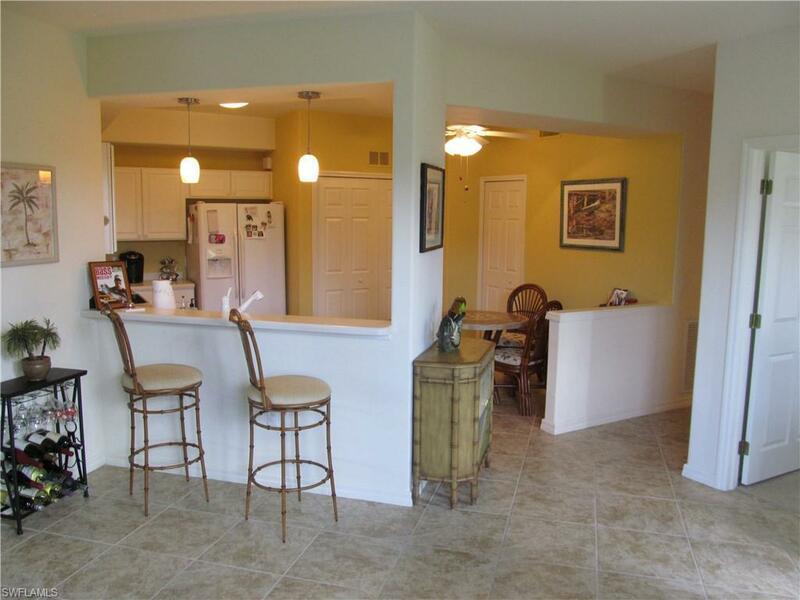 This end unit is bright and open and spacious. 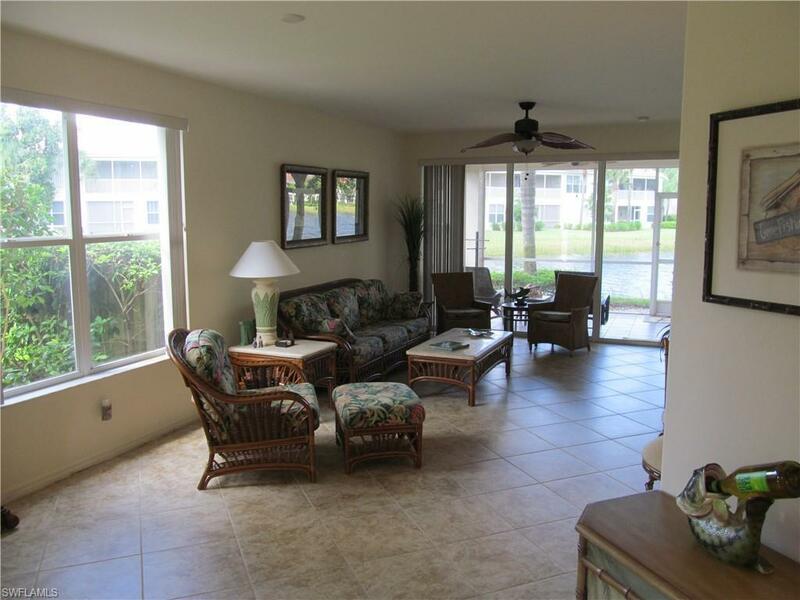 The home boasts 18 inch tile on the diagonal through all of the main living areas of the home. Carpeting in the bedrooms. The bathrooms have been recently upgraded to include new granite countertops, new fixtures and tiled showers with beautifully designed accent tiles and seamless shower doors. The den has it's own window offering a water view and plenty of light along with a beautiful tray ceiling. Enjoy the wrap around lake view from the living room. The extra side window brightens the area. Colonial Country Club offers all of the amenities you would expect and more from a top notch country club. 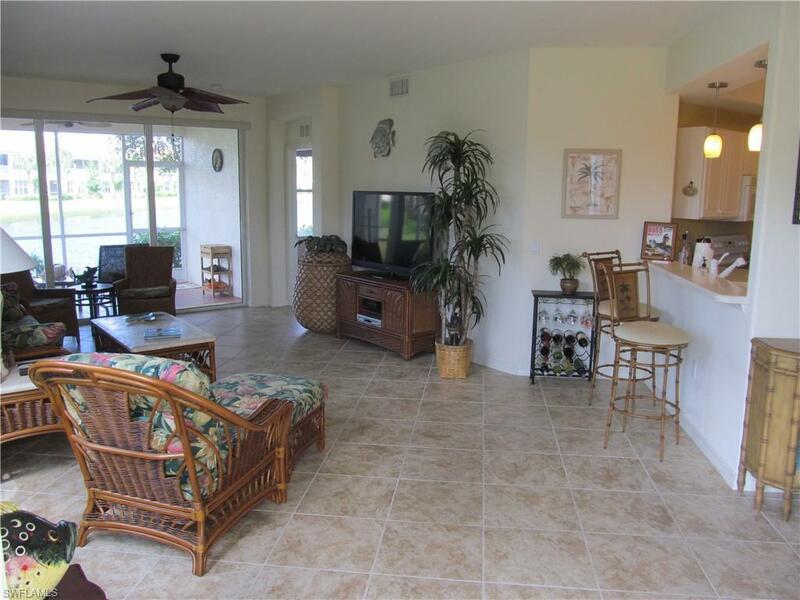 Clubhouse with restaurant, spa, resort style pool, tennis and more. Golfing is available as tee times allow pay as you play. Listing courtesy of Shane Goushaw of Starlink Realty, Inc.